Letras Latinas Blog is now pleased to offer this thoughtful exchange with the author of The Deportation of Wopper Barraza. Our thanks to Letras Latinas Associate Roberto Cruz, who conducted this interview shortly before completing his freshman year at the University of Notre Dame. 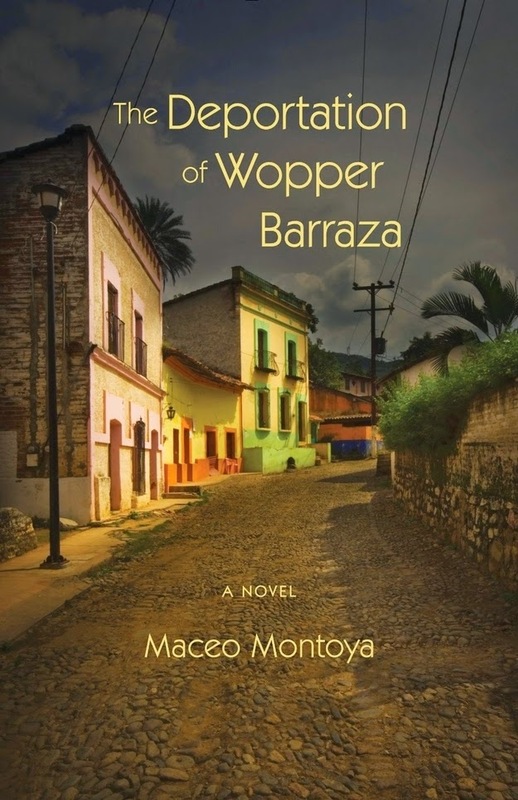 RC: One of the things I found interesting about your novel was how it gives readers different perspectives, though mostly focusing back to Wopper Barraza. What informed your decision to take this multiple viewpoint approach instead of having the whole story unfold entirely through Wopper’s eyes? MM: Wopper’s deportation began as a short story detailing his last night in his hometown. Basically an exploration of what was going through his mind as he pondered his very uncertain future. But upon finishing the draft, I kept wondering what would happen to him once he arrived. So I dove back in, and this time I found myself telling the story through the voice of an old farmer in La Morada, Michoacán the day of Wopper’s arrival. At the time, I was heavily influenced by Roberto Bolaño’s The Savage Detectives, which employs numerous voices over the course of decades to not just tell a story about the visceral realist poets, Arturo Belano and Ulises Lima, but also about the dreams and aspirations of an entire generation. Bolaño described his work as a “love letter” to his generation. This appealed to me. My aspirations were less ambitious, though. I wanted to tell a story of a smaller community, in this case those tied to the diaspora between Woodland, California and La Piedad, Michoacán and its surroundings. As the voices multiplied, I looked for others who had used this polyphonic device. Of course there are many, but probably the most well known is Faulkner’s As I Lay Dying. In fact, Faulkner’s entire oeuvre draws on multiple voices, with its roots in the Southern oral tradition. This made me think about the early works of Chicano literature, which also drew upon oral storytelling. For example, Tomás Rivera’s …And the Earth Did Not Devour Him and Rolando Hinojosa’s Sketches of the Valley both employed numerous voices and perspectives to reveal a larger community and experience. As my own novel developed, I felt more confident knowing that it wasn’t simply a formal device, but that I was, in fact, drawing on a longer tradition where voice, community, and place are intertwined. RC: While I did find that I got to know a lot about Wopper from other people, it seems like the story itself lets us know the least about how Wopper perceives things. Rather, it is an interpretation made by people surrounding him. Could you comment on this? MM: At the end of the novel, Arnie Beas, Wopper’s onetime counselor at the community college, finds that no matter how hard he tries to get inside Wopper’s head, he can’t figure him out. All he knows is that Wopper fascinates him as much as he befuddles him, which leads Arnie to have something of an existential crisis. For Arnie, Wopper’s inscrutability comes to symbolize his own frustrated ambitions. Similarly, as the different characters offer their perspective on Wopper– whether in Woodland or in La Morada – they’re actually describing themselves, their hopes and fears. Wopper might be an enigma, but I also understood that he was a cipher. This is a hard protagonist to pull off, and I often felt frustrated by my own inability to know him, but I realized that in my work as an educator I encountered young men and women like Wopper all the time. There was something very real about his inarticulateness, his unknowability. Others imposed their understanding of him on him. Ultimately, Wopper’s struggle was to figure out how to transcend those perceptions. In short, to become his own person. RC: I noticed that there was a hint of mystery regarding some of the characters like Mija, and Don Martin that did not necessarily reach a conclusion. How do you think this affects the book in terms of bringing it to a close? MM: Our lives are full of incomplete stories. We may know multiple parts but rarely do we get the whole. In a novel driven by perceptions I had to be okay with leaving certain mysteries unresolved. Much of the novel’s conflict results from lack of communication. Wopper was not a communicator. He shrugged his way through life, and so just about all of his relationships were riddled with mystery – mysteries no one cared about, but mysteries nonetheless. When he meets Mija the stakes grow. If early in their relationship the two of them had sat down and talked about themselves – their pasts, who they’d been with, what they’d been through, what they were looking for in life – their relationship may have endured. Easier said than done, of course. But because they never talked, they had to piece together each other’s lives, and eventually the partnership they’d developed, which was really very special, succumbed to hearsay, gossip, and misunderstanding. Near the end of the novel, when Wopper is back in Woodland and he and Laura (the girlfriend he’d left behind), have a conversation in the hospital it represents a significant step forward for Wopper. This small articulation of who he is offers hope that maybe his future will be driven by volition rather than by others’ judgment. RC: The setting of this story felt very important. It seemed to come full circle from Woodland to La Morada, then back to Woodland. I feel like this addresses a bigger issue. How important do you think this element of your book is in portraying the struggle of belonging to two different worlds, but having trouble embracing one over the other? MM: Woodland and La Piedad are actually sister cities. A large number of Woodland residents immigrated from La Piedad and its surrounding pueblos and ranchos. La Morada is invented, but I based it on a rancho where a few of my friends’ families are from. I think what has always fascinated me about Woodland is that so many of its residents are thinking about, dreaming of, and yearning for another place. But it’s not only in their minds, they are also actively trying to preserve that place, and, so much as possible, recreate it. This requires a tremendous amount of imagination. And when you have a whole community imagining collectively, it’s something very powerful. But for the children of those immigrants, who grow up surrounded by this imagined world – maybe they’ve visited it a few times, but for the most part they know Mexico, lo mexicano, through their parents – I think it can be a struggle to know where one’s place is. For me, this is the root of lo chicano, what it means to not only occupy that in between space, but to also learn how to come to terms with it. We all struggle with where we belong, we must constantly find a way of balancing worlds, and this requires its own kind of imaginative thinking. RC: You added another part to this story that is not usually common, at least in my experience. Wopper was actually able to return to the United States. How do you think including this in your story changes the way in which people think about this struggle of having influences and belonging to two different worlds, not only culturally, but physically since Wopper made a life for himself in both these places? MM: For me, Wopper had to return. Yes, his deportation woke him up, his relationship with Mija and his political activity and business dealings showed him what he was capable of, but living in Mexico would always be a form of exile. It would never be his home. Woodland is. And if he had never returned, I think he would’ve always wondered about it, yearned for it, much the same as his immigrant parents yearned for La Morada. But his parents, if they chose to, could always return. Wopper could only return as a fugitive, which is why I liken his experience to that of an exile rather than an immigrant. In ancient Greece and Rome exile was seen as a punishment worse than death or imprisonment. This makes sense to me, as the home is where one finds relevance, purpose. This is probably why so many immigrant dreams involve eventual return, whether it happens or not. Wopper may have succeeded in La Morada, but his true fulfillment as a person was only going to happen in Woodland, and so I feel as though there was always a sense of inevitability about his return. He fled La Morada in desperation, and part of it was because he started to comprehend that he was in over his head, that he was in a place that he didn’t understand and maybe never would. RC: Another fascinating part of this book is that Wopper is actually from Mexico, but is more familiar with Woodland. Seeing the success that Wopper was able to have in La Morada, but his longing for Woodland, do you think this speaks to a reality that many people face in the United States, who were born in another country, but grew up in the United States? MM: The numbness of Wopper’s existence in Woodland represents his inability to imagine a life different than the one he has. On the one hand you have a generation who staked everything on an illusion, a single-minded quest for a better life, while at the same time they imagine and reimagine the home left behind; on the other hand, you have a generation that is faced with the challenge of finding its own dream. Their parents staked everything on something imagined, but they, the children, must live with the reality. For this second-generation, finding its own dream can be trying in a country whose promises are often as intangible as they are unattainable. Wopper is clearly capable, as his success in Mexico demonstrates, but that doesn’t answer what he wants from his life, or even what’s possible. His deportation jarred him awake, but the larger questions remain. I mentioned above an existential crisis. In a way, all of the characters are dogged by the same uncertainties: What am I? Where do I belong? What do I want to become? Personally, I’m far removed from the immigrant experience, but as an artist, an educator, and, simply, someone who feels deeply for those whose experience it is, I believe that the answers to these existential questions are important to us all. Maceo Montoya grew up in Elmira, California. He comes from a family of artists, including his father Malaquias Montoya, a renowned artist, activist, and educator, and his late brother, Andrés Montoya, whose poetry collection The Iceworker Sings and Other Poems won the American Book Award in 2000. Maceo graduated from Yale University in 2002 and received his Master of Fine Arts in painting from Columbia University in 2006. Montoya’s paintings, drawings, and prints have been featured in exhibitions throughout the country as well as internationally, including the traveling show “Caras Vemos, Corazones No Sabemos: The Human Landscape of Mexican Migration to the United States” and “Inter-viewing Paintings” at the SOMA Museum of Art in Seoul, Korea. His artwork has appeared in a range of publications, including seventeen drawings in David Montejano's Sancho's Journal (University of Texas Press 2012), an ethnography of the Brown Berets in San Antonio. 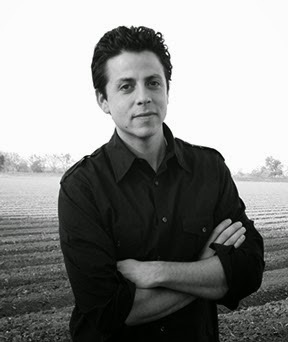 Montoya’s first novel, The Scoundrel and the Optimist (Bilingual Review, 2010), was awarded the 2011 International Latino Book Award for “Best First Book” and Latino Stories named him one of its "Top Ten New Latino Writers to Watch." Recently, University of New Mexico Press published his second novel, The Deportation of Wopper Barraza, and Copilot Press published Letters to the Poet from His Brother, a hybrid book combining images, prose poems, and essays. Montoya is an assistant professor in the Chicana/o Studies Department at UC Davis where he teaches the Chicana/o Mural Workshop and courses in Chicano Literature. He is also affiliated with Taller Arte del Nuevo Amanecer (TANA), a community-based arts organization located in Woodland, CA. Letras Latinas, the literary initiative at the Institute for Latino Studies (ILS), strives to enhance the visibility, appreciation and study of Latinx literature both on and off the campus of the University of Notre Dame—with an emphasis on programs that support newer voices, foster a sense of community among writers, and place Latinx writers in community spaces. For more information about Letras Latinas and its programs, please contact faragon at nd dot edu.